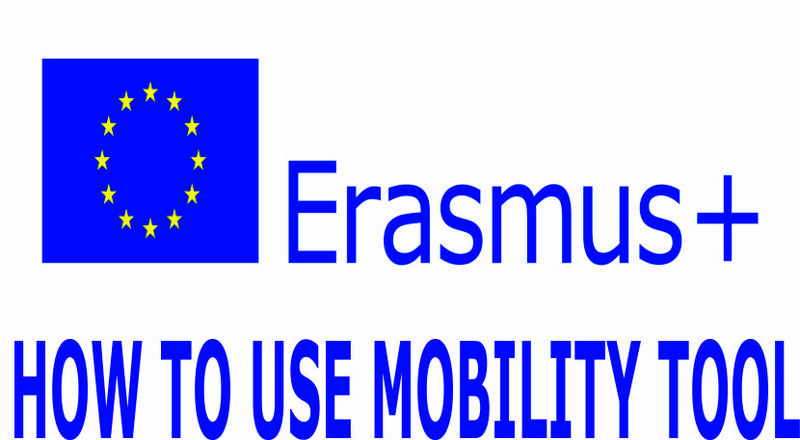 Mobility Tool+ is a web platform tool for collaboration, management and reporting for mobility projects under the Lifelong Learning Programme (LLP) and under the Erasmus+ Programme of the European Commission. 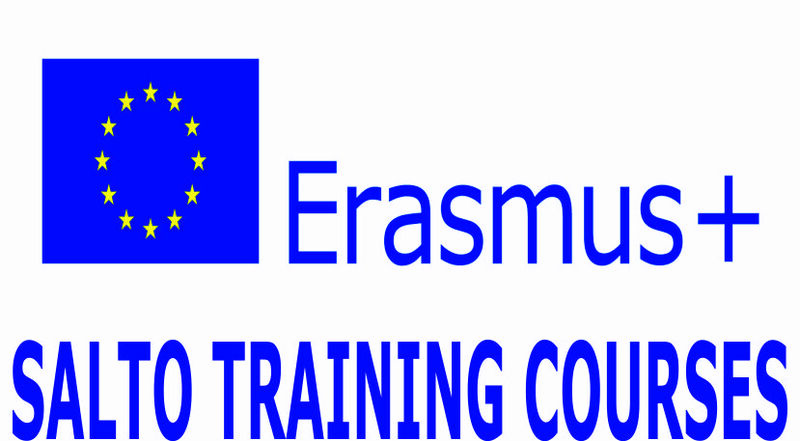 It is developed by the European Commission to be used by the beneficiaries of Erasmus+ Projects managed by Erasmus+ National Agencies. The users of Mobility Tool+ will find in the tool some of the information of the projects they manage (included in the Delegation Agreement signed with their National Agency) and are able to encode the remaining information. They can identify participants; mobilities, outputs, etc. and complete and update budget information. The tool can also generate participant reports and beneficiary reports, both based on the mobility data introduced by the Mobility Tool+ users. Mobility Tool+ users The users of Mobility Tool+ are: – Beneficiary organisations – the main users of the tool, responsible for entering mobility and participant details via the graphical user interface or via the import process and for entering budget information. They can also consult the participant report data. 2.1. What is the URL address of Mobility Tool+ website? 2.2. How do I login to Mobility Tool+? 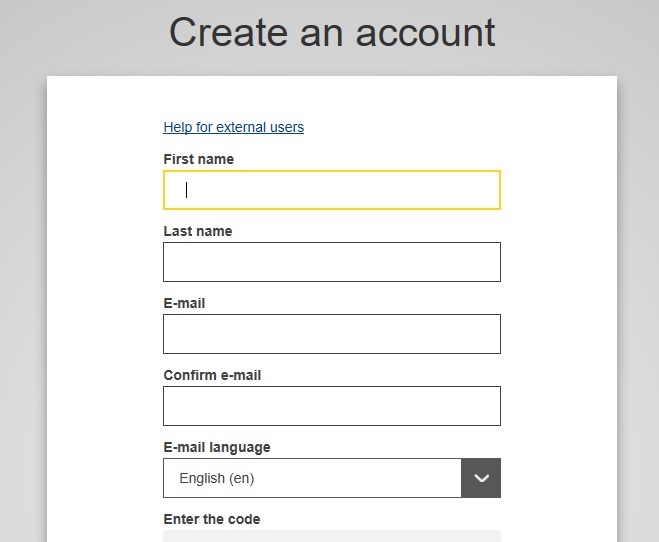 In order to login to Mobility Tool+ you need to have 1) an ECAS (European Commission Authentication Service) account and 2) be registered in Mobility Tool+. For the first point please refer to the ECAS User Manual document for more information on registration and how to obtain a login name and password. For the second point, if you are the contact person of the beneficiary organisation of an awarded project, your email address was provided within your project application and you will be registered automatically. If you are not sure whether or not your email address was provided in the project details or you are not sure which of your email addresses were provided please consult your submitted application PDF form or contact your National Agency for support. You are always redirected to ECAS login page for authentication when you enter Mobility Tool+. If you have never used ECAS system before, the authentication system will welcome you with a screen similar to the one presented below. 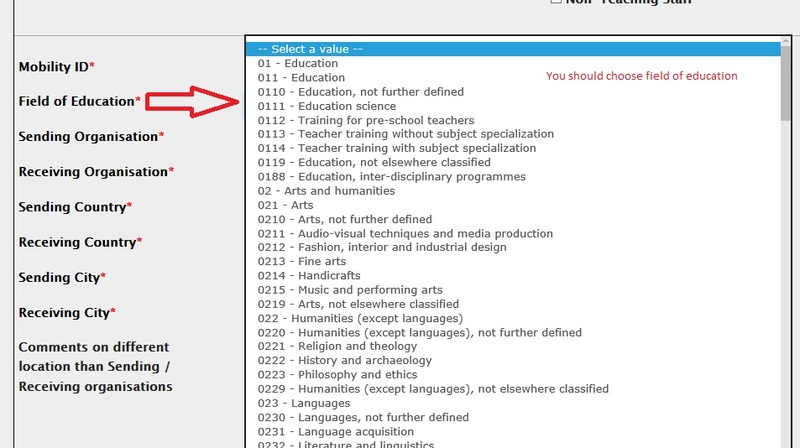 On this page, please select “External – Partners, Researchers, Citizens”, unless you work for any organisation or agency listed on that page, i.e. European Central Bank, European Institute for Gender Equality, Eurojust, etc. Please be aware that, the email address should be the same email address as you wrote in the application form. After login in, you will be redirected to a web page where you can see your projects. When you have that page, choose which Project you would like to continue. 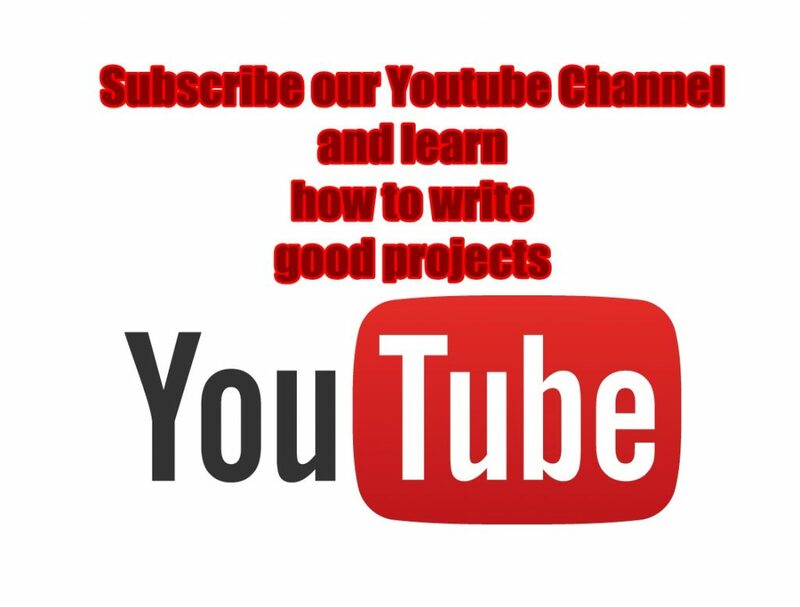 When you click the Project you would like to go on, you will have a new page where you are requested to write or fill information about your Project.This is main info page of your Project. You can see the details of your Project. When you click organisation part, you will see partners information in your projects. You can check some details about your Project partners. Project Management and Implementation part shows how much Money you can use for Project Management and Implementation. This budget is automatically calculated after you enter your Transnational Project Meetings. In the Transnational Project Meetings part, you can enter your Transnational Project Mobilities details. 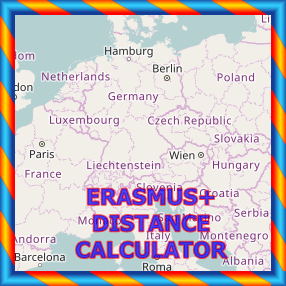 This part is important, because it calculates how much you spent for the mobilities. If you have intellectual outputs in your Project, you can fill the Intellectual Output part in the section. Multiplier Events part need to be filled if you did any multiplier events in your Project and you had fund for this part. Generally, if you have an intellectual output, you probably have multiplier events. 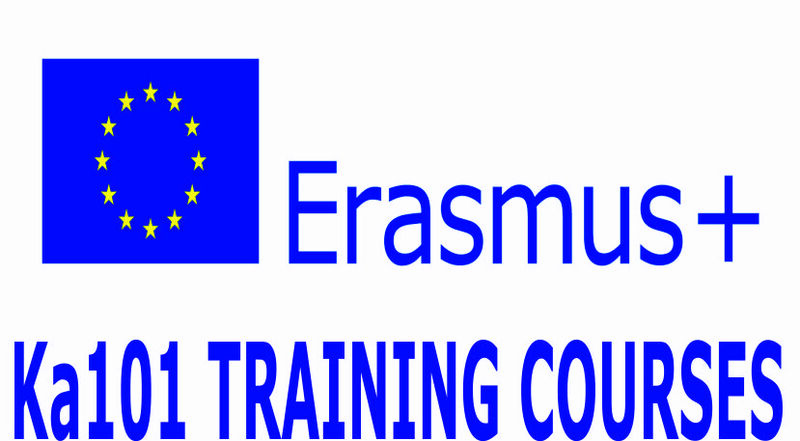 Learning-Teaching and Training Activities part is as shown. If you did these activities, you have to fill this part. If you have special needs support in your mobility, you have to fill this part. Exceptional costs means a seperate budget for your Project that your national agency approved that part and you received that amount. Generally, in school partnerships, this part can not be funded by National Agencies. You can see empty part if you dont have this budget and you dont need to do anything. The most important part in the mobility tool is BUDGET part. You have to fill this part carefully. Most of the budget information comes from directly the information you wrote in the mobility form. For example, when you write Transnational Project Meetings in the TPM part, for each mobility it calculates some amounts of Money and directly fills the budget part. 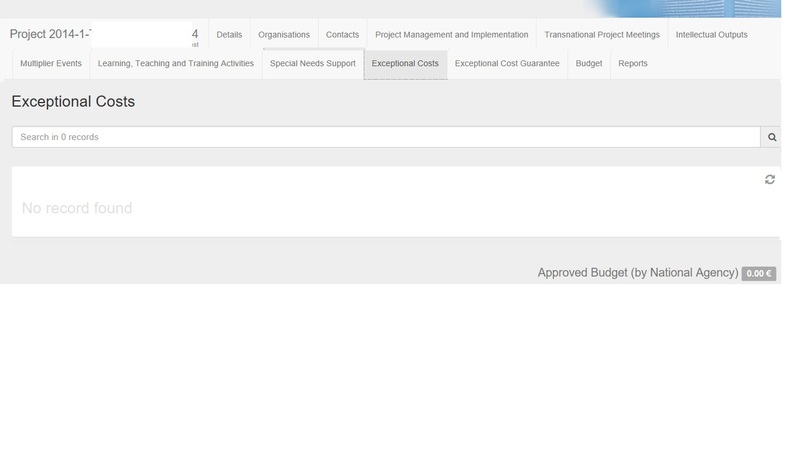 In this budget part, you need to write only Project Management and Implementation part. 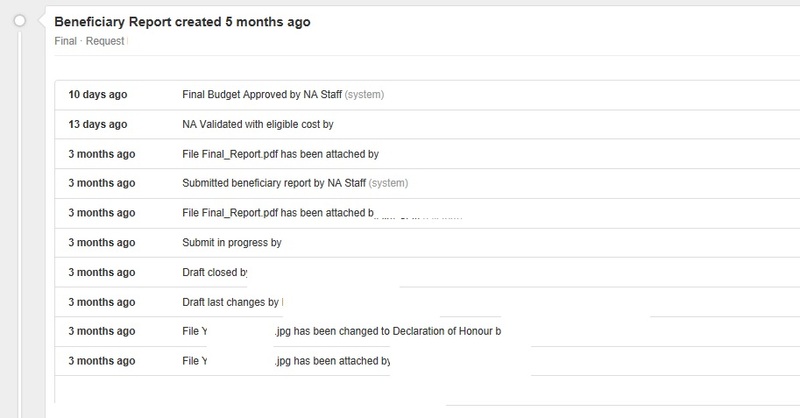 When you have all this , you need to go report part and click CREATE BENEFICARY REPORT so as to write the final report. You can follow your report process as in the Picture. In Ka1 Projects, the mobility tool is a little bit different as you can see in the following screenshots. 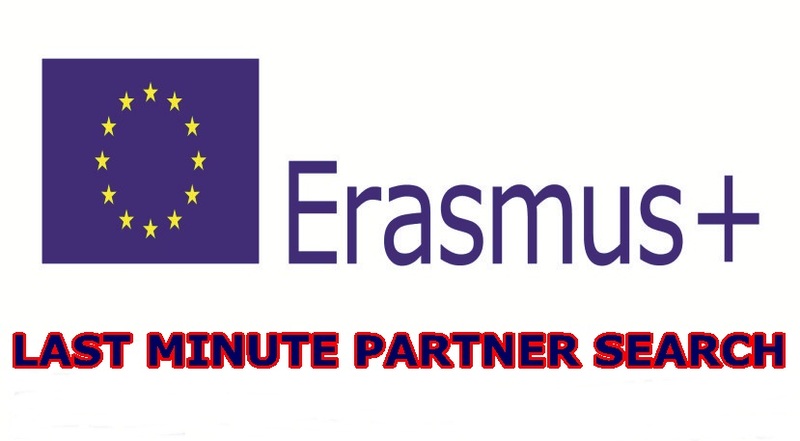 Erasmus+ : qu’est-ce que c’est ?